He was a Renaissance man- a polymath in the company of Leonardo da Vinci and Johann Wolfgang van Goethe. A law student who wrote poetry in his free time, he would go on to become an eminent medical doctor and literary icon that happened to invent in his free time. 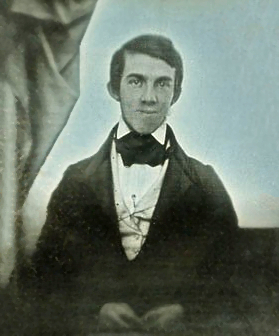 Oliver Wendell Holmes was born in 1809, in Cambridge Massachusetts. Disenchanted by his legal studies at Harvard in 1830, Holmes turned to medical studies in Boston and then Paris while gaining literary acclaim for both his poems and his essays. Once home in Boston, Holmes won his first prize at Harvard Medical School for writing a paper on the importance of the stethoscope- a tool not used yet by a majority of the medical profession. In an era where bloodletting was still being practiced and germ theory was unheard of, Holmes was part of a forward thinking group of physicians. He believed in the danger of contagion of sickness-specifically during childbirth. This was highly contested at the time by other eminent physicians. Only a few years later would the idea of hand sanitization before delivery and autopsies be introduced by Semmelweis- a Hungarian in 1847. 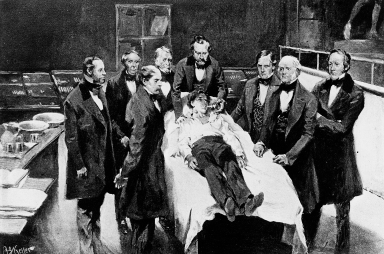 Holmes was also credited with a word we know today- anesthesia. It is a combination of two Greek words that mean ‘without sensation’. It was adopted in 1846 after a correspondence between Holmes and William Morton, the dentist who had performed the historic first public demonstration of diethel ether as a general anesthetic to manage the pain of tooth extraction. This was an important step in the road to pain management in medical intervention. As dean of Harvard medical school Holmes admitted the first woman, Harriot Hunt and the first African-American, Martin Delaney. Sadly, his forward thinking beliefs didn’t meet with that of his peers, and both admissions were retracted under the pressure of public opinion. 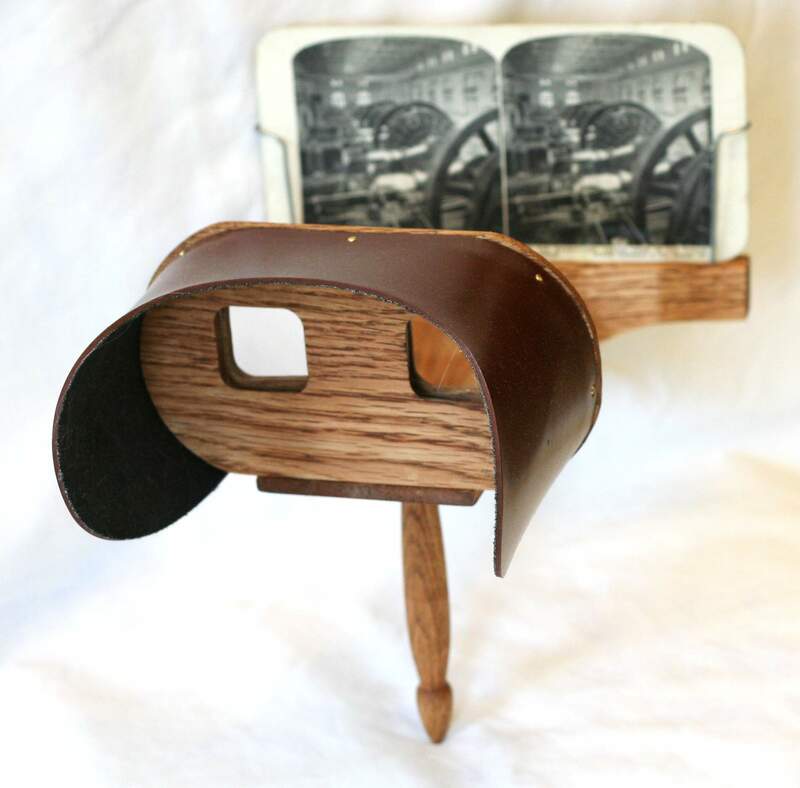 The American stereoscope was invented by Holmes. This was a handheld nineteenth century version of a children’s view- master. A person places a binocular- type lens up to their eyes and two pictures are present, providing a 3-D effect. Surprisingly Holmes didn’t patent this invention. Holmes was considered one of the American fireside poets. His works were characterized as family friendly and upholding convention. Abraham Lincoln is said to have memorized and favoured at least one of his poems. Holmes wrote three novels, three biographies and countless essays. A friend of Henry Wadsworth Longfellow, Holmes was one of a group of intellectuals that assisted him on his translation of Dante’s Divine Comedy. The group met on Wednesday, and affectionately called themselves the Dante club. As an intellect, Holmes shows us what an insatiable appetite for knowledge can do for one’s life and the lives of others. The study of his medical profession illuminates the darkness of past medical practices and the hope for future advancement- both in his time and in our future. This entry was posted in historical, Medical history and tagged anesthesia, Dante club, Harriot Hunt, Harvard Medical School, Henry Wadsworth Longfellow, Martin Delaney, medical history, Oliver Wendell Holmes, renaissance people, Semmelweis, stereoscope, stethoscope, William Morton. Bookmark the permalink. The school is the third-oldest medical school in the United States (after Perelman School of Medicine at the University of Pennsylvania and Columbia University College of Physicians and Surgeons ) and was founded by John Warren on September 19, 1782, with Benjamin Waterhouse , and Aaron Dexter . The first lectures were given in the basement of Harvard Hall and then in Holden Chapel . The first class, composed of two students, graduated in 1788.